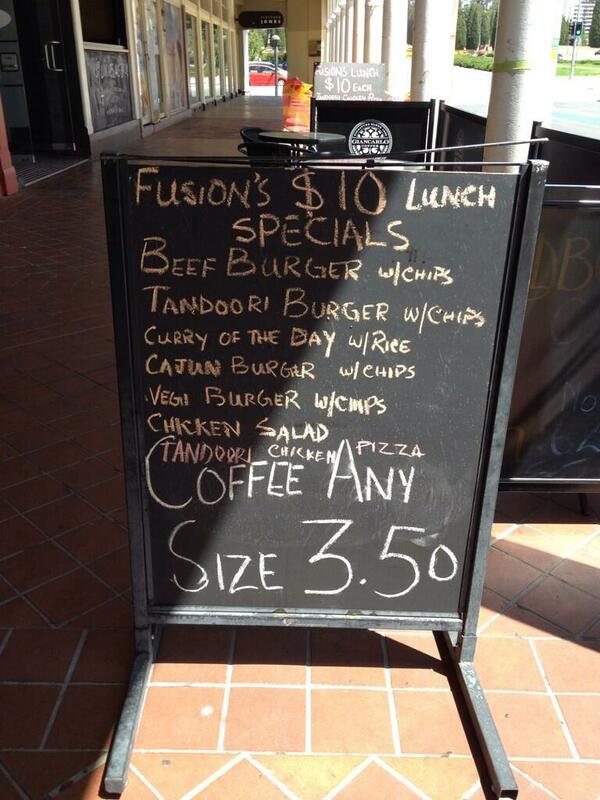 The Specials Board of the Fusion Café (Sydney, Building Civic) was far too tempting. Have often passed this café without venturing in and was curious about who ran it. Our friendly owner hails from the sub-continent and is keen for new custom, so expect (as was received) good and fast service. Having recently tossed aside any health-related New year’s resolutions, the Cajun burger with chips looked tempting. I wasn’t disappointed. It was a large burger and a large side of chips. Well worth the $10. The $3.50 coffee was good as well. This place is not amazing (yet) but if the owner’s enthusiasm is any guide it will be one worth watching. 2 #Canberra Beanies. Whilst there we witnessed a photographer friend of the owner taking photos of a sumptuous banquet platter for their new website. So I’ll definitely be back to sample that at some point. It’s around $22 but looked amazing. 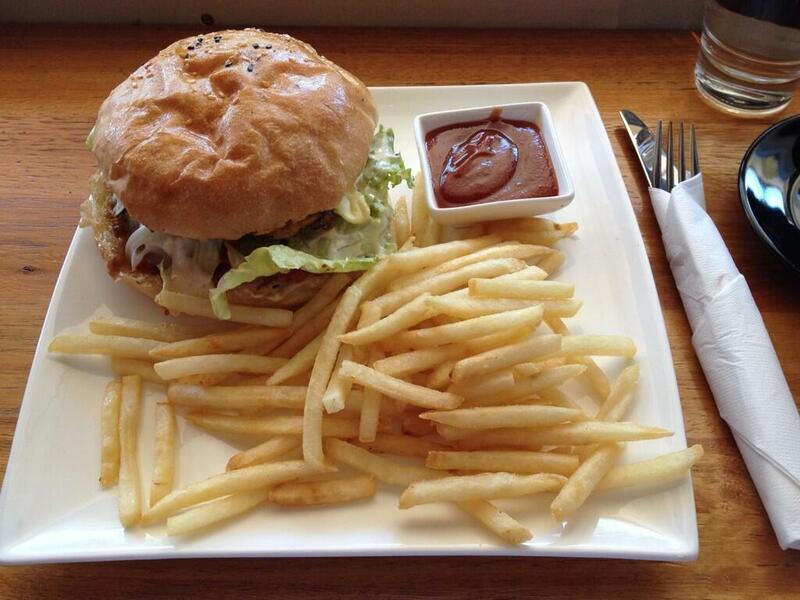 This entry was posted in 2 #Canberra Beanies and tagged Canberra Beanies, Fusion Café.